Aircraft Fuel Efficiency – What’s In The Future? The consistent rise in fuel costs has spurred investment in new technologies that will increase aircraft fuel efficiency. These new technologies range from alternative fuels to new designs in various aircraft components. Known as synfuel, this is any liquid fuel created from coal, natural gas or biomass. It can also refer to fuels derived from oil shale, tar sand, waste plastics or the fermentation of biomatter. Several large companies are developing coal- or gas-to-liquids processes including Sasol, Shell, Exxon, Statoil, Rentech and Syntroleum. Biofuel is made from converted agricultural crops like soy. Over the last two years, there has been an increase in interest in biofuels in the aviation industry. For example, British Airways recently announced the construction of a waste biomass gasification plant to produce renewable aviation biofuels. IATA announced that five airlines successfully tested biofuels and that certification is expected by 2011. To put this in perspective, in the US alone, aviation biofuel is estimated to be a $100 billion plus opportunity. While mostly used to power cars, it can be used to power other vehicles such as farm tractors. It is hoped that it can be used for airplanes as well. It is typically combined with gasoline in any concentration up to pure ethanol. Significant enhancements to aircraft have contributed to fuel efficiency. These include airframe design, engine technology and rising load factors. While finding alternative sources to existing aircraft fuel are important, the continual improvement of aircraft fuel efficiency also calls for enhancements to aircraft design and technology. In 1983, General Electric engineers experimented with an “unducted fan” engine. By eliminating the external casing, airflow through the blades was increased, giving more power for the same amount of fuel. Unfortunately, the engine was quite loud and the project shelved once fuel prices dropped. Recently, GE began wind-tunnel testing a smaller, scaled set of the blades. The engineers are redesigning the original blades to evenly distribute the air coming off the tips when they spin at supersonic speeds, which should reduce the noise. The engine is designed to save fuel by tilting the blades to control speed, allowing the turbine to run at a constant, more efficient rate. The design is estimated to be ready for midsize jets around the year 2020. Recently Diamond Aircraft, an Austrian airplane designer, received certification from the FAA for its new DA42, powered by two turbocharged AE300 motors. The AE300 can produce 100 percent power to 11,000 feet thanks to the turbochargers, powering the twin engine airplane to a 152 knot cruise speed while consuming just over 5 gallons of fuel per hour in each engine. 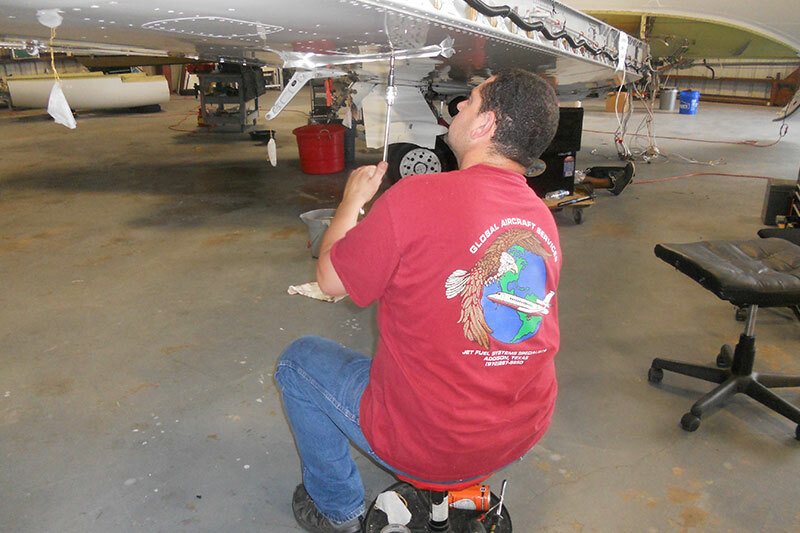 Diesel engine conversion was a US STCed for many Cessna 182s in 2006. 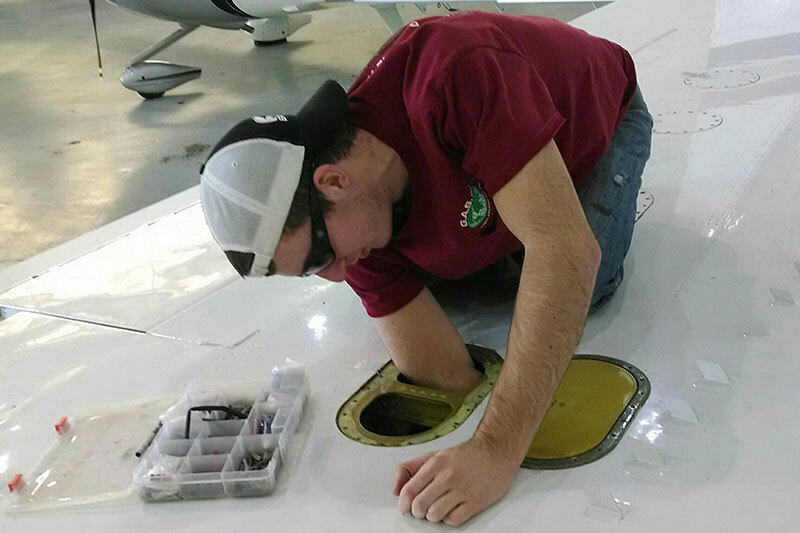 While modestly expensive, an aircraft owner will receive a 30 percent or more fuel savings making the overhaul worth investigating. Many interesting alternative fuels and technology enhancements are under investigation, making the future of aircraft fuel efficiency much brighter than we have seen before. Some of the alternative fuels are available in the very near future; other enhancements still require significant development. Either way, an owner and/or pilot has options to increase aircraft fuel efficiency and save money.